Croft motor track is located to the south of Darlington and the West of Middlesborough in West Yorkshire. More specifically it lies close to the small village of Dalton-on-Tees. The village of Dalton is home to a choice of inns although many larger hotels can be found in Darlington to the north including business hotels, budget chains and b&bs. Cheap accommodation and deals are often found for those visiting the track for a weekend away. The motor racing track circuit near Darlington in North Yorkshire UK is the perfect place to go for a weekend away, whether you go as a family, as part of an away day or with your mates. Visitors to the circuit can enjoy a choice of driving experience or watching a race, or maybe even both. From what to expect to where to stay, read on for our ultimate guide to a weekend of racing. 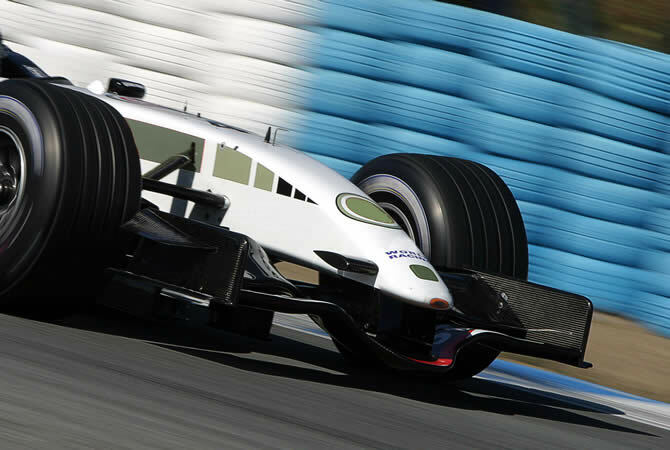 Book hotels near Croft Circuit and save 25% and more. A weekend away can include a choice of driving experience. Whether you want to ride an F1 racing car or perhaps a Porsche, Lamborghini or Ferrari. Many packages allow you to experience more than one car, such as a sports car, classic British motor and F1 Maclaren. Driving experiences last up to 3.5 hours and include a briefing and instructor demonstration. These experiences make ideal gifts or are perfect for stag dos as part of a longer weekend in Middlesbororugh or Darlington. The site hosts a full calendar of motorsport events including F3, TVR, GT and other races. It’s also home to the prestigious British Touring Cars (BTCC) event, and operates also a number of top-notch supercar driving experiences during the year. Several budget-friendly hotel rooms or bed and breakfast properties are located within close distance of the race track. The 2.1 mile long lap is very challenging, offering plenty of turns and corners. It’s unofficially known as a real driver’s circuit. There is no 70 mph speed limit, little use of cone chicanes to slow you down and even junior drivers have the opportunity to test their skills. The circuit plays host to a busy calendar of racing meet events including motor-racing, rallycross, bikes, nostalgia races and much more. Whether you just want to watch or want to take part, these events can make up the main show of a Croft Weekender. This stadium also plays host to test days, which enable you to bring your own new car or bike and test drive it at speeds you wouldn’t normally be able to. Track days also allow you to bring your own vehicle to drive it at leisure on the track. Visitors to the circuit as part of a corporate or large event can have catering arranged. Alternatively there are numerous nearby pubs, hotels and restaurants that serve food. A croft weekender is likely to be an unforgettable weekend, whether you go to test drive your new car, take part in a race meeting or enjoy one of the many available driving experiences. Stag dos, corporate events, birthdays or just for fun – any excuse to go is a good one. With plenty of cheap accommodation and eating options just a short drive away and the city of Middlesborough just 20 miles away, a trip to Croft can make up part of a fabulous boys weekend. The nearest station to Croft is Darlington which is 4 miles to the north. The railway station is frequently served by the East Coast Main Line. Bus and coach services to Darlington are provided by National Express. When driving South on the A1(M) you have to take junction 58 off signed Darlington. Then you have to follow this route through Darlington, and follow the A167 towards Northallerton. Croft Circuit is signposted approximately 2 miles south of Croft on Tees. When driving North on the A1(M) you have to take junction 57 off to Darlington. At the second roundabout take the 5th exit which is signed Northallerton A167. Continue on this route as described above. The nearest airport to Croft Circuit is Durham Tees Valley airport (Teesside), approximately 8 miles away. Newcastle airport and hotels are 1 hour drive away. Location : near Dalton-on-Tees in North Yorkshire, just off the A1/A66 junction between Darlington and Northallerton. Nearest Hotels : in Darlington, Scotch Corner, Long Newton, Headlam, Richmond, and Middleton One Row. Raby Castle : castle with stunning gardens located near Staindrop. It recently featured in the BBC drama The White Queen. Paddock Farm Nursery & Water Gardens : popular garden centre and fishery. Darlington Railway Centre and Museum : insight into Darlington’s railway heritage. It’s a very pleasing place to visit for adults and children alike. The museum is very interesting and very informative. Darlington Civic Theatre : lovely theatre providing a varied programme of entertainment to suit all tastes. Popular British motor racing track, located in the beautiful North Yorkshire countryside. Major Events : major races are the British Touring Car Championship BTCC, British Superbike and Pickup Truck Racing race series. Other motorsport events include the BARC race meeting, Derby Phoenix Motor Cycle Club meeting, BRSCC meeting, Hottrax Motorbike, and NEMCC races.